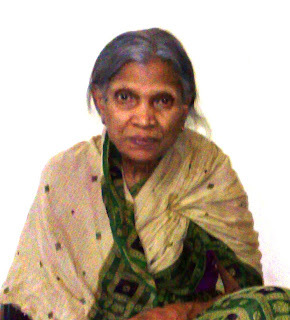 These are a few poems by Ms.C.Sinha, eminent educationalist. She taught English in St. Aloysius High School Kanpur where I was a student. She is now retired and lives by herself in Kapur. I am posting these as a tribute to her and also as a treat to her countless students/ fans spread all over the world. St. Aloysius School , Kanpur. Come in the screen of mind uninvited. My grieved heart says ‘it’s thy melancholy’. Endearing memories that will never depart. His Benedictions, on me, will surely shine. The boat is steady and to them I belong. On a spring season dawn. Of music, gaiety and prefect harmony. At their grand celestial banquet. And enter the heavenly socket. At human hearts broken sentiment. In a friendly embrace a relief they heave . Half hidden from the eye. When only one is shining on the sky. Lo! A puff of breeze and then come the showers. In her mothers cozy lap and the sleep awhile. Where fairies and angles welcome her in their wonder-land. Splashing and jumping he does in water cool. When a flash of lightening makes the firmament cry. They set their empire on perfect blue. With mouth watering treats peeping from her basket. Sibani didi’s love for me is a noble and graceful sentiment. Peeping and travelling to put me to sleep soon. The stars accompany the moon with symphony sounds. For all that has gone amiss and pray for his togetherness. I love to linger under its gentle shadow. To the land of my departed dear ones fold of affection. In their absence it is agonizing and melancholic. The memories are an invaluable treasure. And a source of perennial pleasure. Where there is conflict and strife. And in our sorrow and suffering, offer solace. Let goodness prosper in human mind. Her words were my consolation. I am a devotee in her Holy Temple. When one is dipped in ignorance. In the sky of whims and fancy we fly. And life in shades challenges throw. Oh God! Give us the armour of protection. Keep us in your love- corridor. To our turbulent mind to attain calm. To your ever flowing Benediction. I crave for green linnet’s beauty. I call my domain merriest. Where every object holds dear. Where peace and serenity tells its piety. Rolling, jumping & hopping, as we are a merry band. The wide spread nature is our sole canopy. Bruised by High-tech bugs, it is the only therapy. Care, concern, togetherness & jubilation. In the kitchen she never felt the fatigue. Everybody knew her in the market. Be it vegetables, flowers, milk or sweetmeat basket. Welcome Sister, come to my shop. The call was all around, She couldn’t decide where to stop. She obliged everyone to our heart’s desire. They were her bosom friends for who she will aspire. Is agonizing, painful and heart rending by all means. Pity, sympathy, smiles and great humane-ness. MY DEVOTED PRONAM TO YOU, MY BELOVED SISTER SIBANI DIDI. O’ my dear country, where is thy salvation? ‘National consensus’ has turned into a dry emotion. To spell the story of sad predicament. The list is endless and frightening. At these tales so dehumanising. The victory through sin is always ephemeral. O’ mankind, wake up to the sublime call of deeds moral. Is not our country with glorious history replete? Have they not been our weapons concrete? Has not been our land been an epitome of culture? Ramkrishna and Vivekanand- such glowing texture! Should we let our good conscious sleep? And stand obdurate, when degenerations creep? To face the onslaught of this troubled time. Against the ills that try to masquerade. ‘Unity in diversity’ is no more a euphoric decoration. Let us worship it as a ‘Holy Declamation’. Wake up with your genuine veneration. Let Mother India feel proud of such genius. Rise as one man where democracy is buried at the cemetery. And crush the typhoon of terror which is at its prime. Into the region of delight which will be neigh. To free ourselves from the wound it inflicts. Glow in the community of nations. Will ever gleam and glitter in pages of History. Bow at India’s super stunt. Reflected robust optimism for a climate change. Ecstasy poured forth in a cascade of merriment. Euphoric music tumbled down from the Media. India’s millions found in him a lovely mate. Created mighty ripples in Glorious Hindustan. As if to relate the grand saga of Cricket Victory. The heroes homecoming soaked in jubilation. When aim was achieved with firm commitment. Will ever be crowned with success and aim escalation. Which may offer the young a grand plethora of Celebrity. Jai ho India, rich is thy soil. Bring blessings to those who genuinely toil. And the fragrance spread far and wide. Maam Sinha is synonymous to selfless. She is an inspiration not only to me but all my friends to whom I have recited my days spent with her. We all love her but I think we have to do much more than just loving her.